Happy 5th Birthday to Sweet Jazmine! Unbelievable, that cute little pipsqueak that Dan and I fell head over heels in love with when we first saw her up for adoption at the Global Pet Expo in March of 2014 and subsequently adopted (how could we not?) is 5 years old today! How is that possible? It seems like just yesterday she was a tiny, puff of diva fur ruling the household. Now, here she is, a giant puff of diva fur, ruling the household! My beautiful bundle of ginger fur! She really is one cool cat! Anyhow, Happy Birthday to my dear, precious Jazmine. I wish I had the time to do a long post in your honor, but it’s just not in the cards for me right now. But I can promise you that you’ll be spoiled even more than you already are. I love you and cherish every second of love, laughter, and sunshine you bring into my heart and the hearts of others. To read Jazmine’s full adoption story, please click here. Happy Birthday, Jazmine! Another year of fabulousness! Beautiful photo, too! 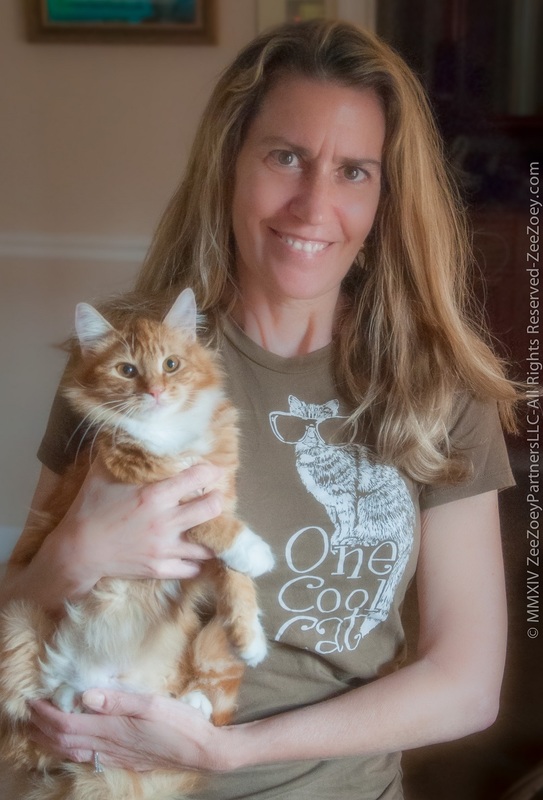 If you’ve seen photos of Dewey, the library cat, I’d say you two are twinsies! Happy 5th Birthday to you, Jazmine. We hope you have a wonderful day of celebrating and being spoiled. Mom is going to have plenty of treats for you today and lots of cuddles. Thanks for sharing this great post with us. Have fun today and this upcoming weekend. Awww, Happy PURRthday, beautiful Jazmine! May you enjoy it — and many, many more — in safety, good health, happiness, and LOVE! 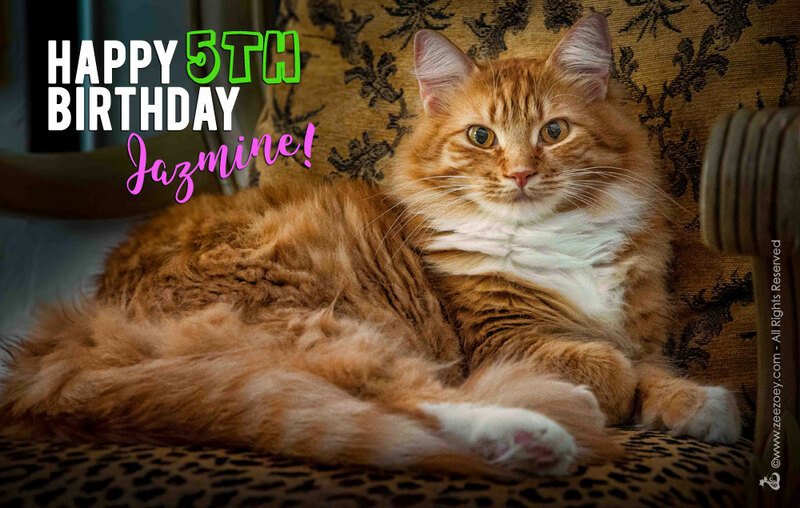 Happy Birthday Sweet Jazzmine – and many, many more! Happy Oh Happy to one of the most gorgeous furry ladies in the whole wide world! Happy birthday to you, sweet and beautiful Jazmine! omg I am soooo sorry I totally missed this on your blog (I believe I wished Jazmine a Happy Birthday on facebook, I sure hope I did!) I remember the day you adopted her!! Happy Happy Belated sweetheart! !